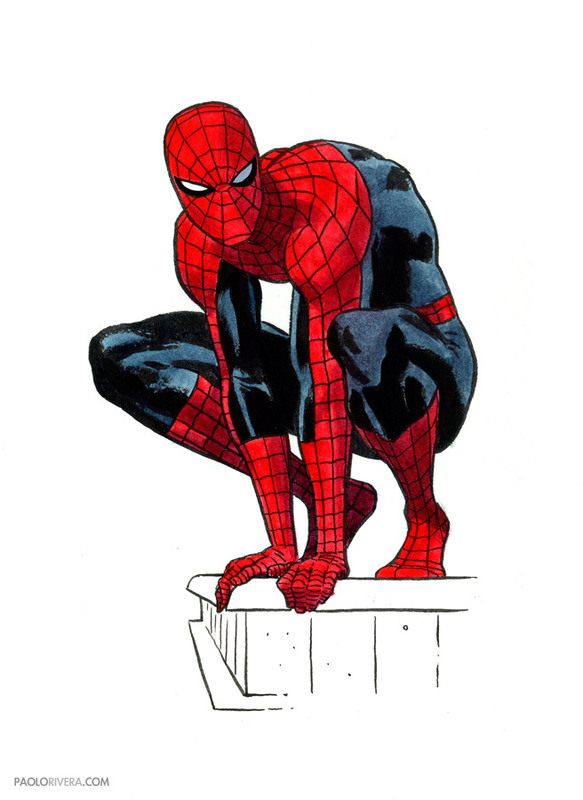 I've posted this before, but I figured I might as well feature a piece of Spidey artwork every day this week. This is typically how I draw him—lanky, but with a gymnast's physique. For some reason, I always think of a panther when I draw him. Tomorrow, I'll show a page of action poses.